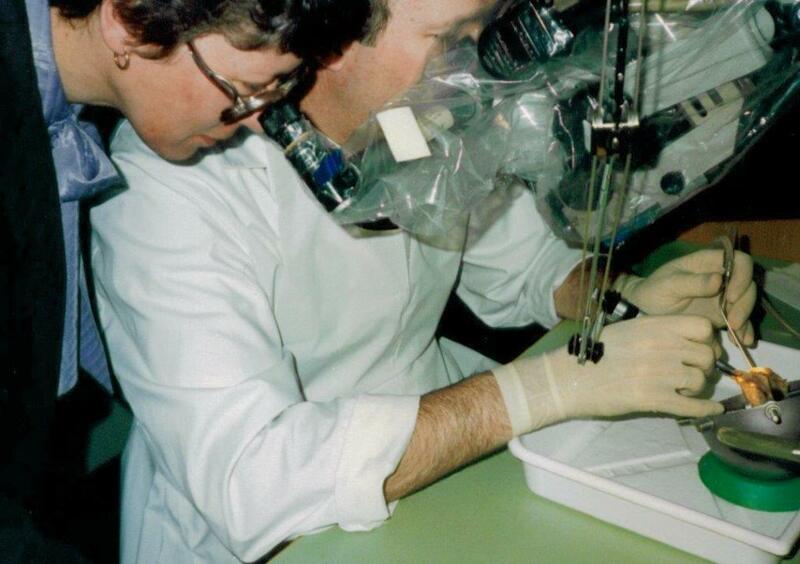 The Blog Happy 40th Birthday, Cochlear implant! Happy birthday, cochlear implant (CI)! On this day in 1977, the cochlear implant dream became a reality when Engineers Jim Patrick and Ian Forster presented the circuit diagram for the Mastermos silicon chip designed to provide circuitry for one of the ten stimulus channels of the first bionic ear. In the same year, Professor Graeme Clark received research grant for “The Development of a Hearing Prosthesis”. 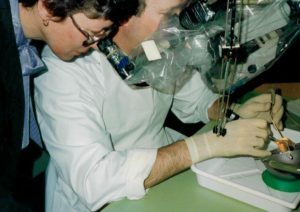 Professor Clark, determined to discover a way to get the electrode placed securely in the inner ear, found a solution by experimenting with a blade of grass and a small turban shell in New South Wales, Australia (http://www.cochlear.com/wps/wcm/connect/au/about/company-history, 2017). All this translated to children who were profoundly deaf who would soon have access to sound. Our own S Roseanne Siebert, CSJ, was invited to watch one of the first surgeries and knew this was going to be big. “Initially, many oral deaf educators of the deaf were skeptical about how effective the CI would be for children with profound hearing loss. The subsequent results far exceeded our expectations. 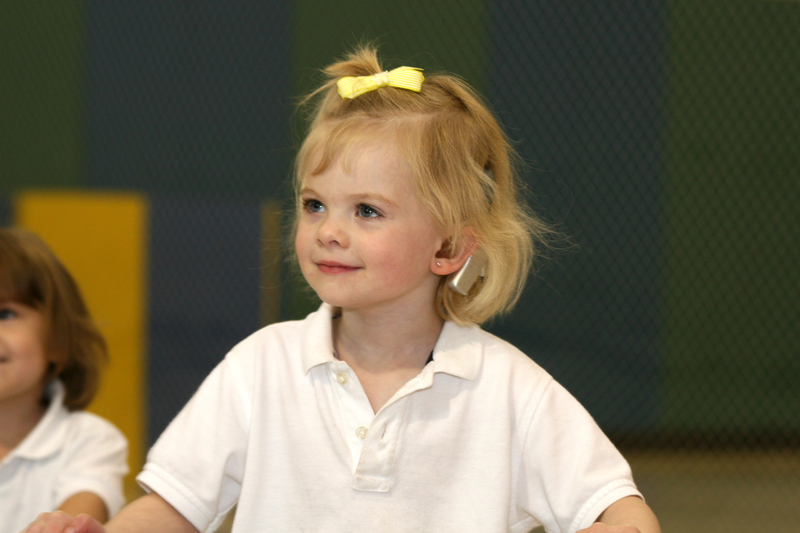 Today with appropriate training, many children with profound hearing losses use cochlear implants and are able to develop spoken language skills at a more rapid pace. This allows them to be mainstreamed (or to access learning with their hearing peers) at younger and younger ages”. She went on to develop the CI curriculum, first in the nation, to help develop the auditory and language skills to fully access the device. It is still in use today and replicated many times over. Cheryl Broekelmann, MA, LSLS Cert AVEd, Director of STL Operations, knows all too well the enormous impact this device had on children and their families. “The CI came along right as I had been teaching for about 10 years. This little miracle device was incredible, but we all knew it would need support from deaf educators and speech-language pathologists. Like having a knee replacement but never attending the follow up therapy, CI training was brand new and very exciting! We loved working with the children to see what new sound they would hear today –every single day was like St. Nickolas morning!